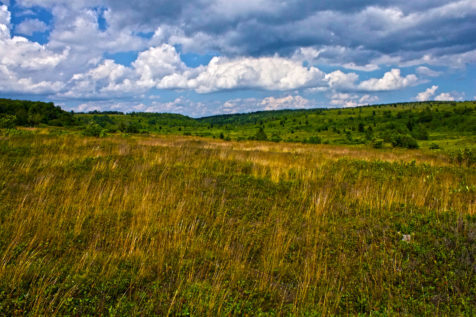 At the end of my 25-mile backpacking trip in the Dolly Sods Wilderness, I was stunned by the area’s ecological diversity and beauty. Wide meadows, laurel thickets, and ridgelines topped with large blocks of conglomerate black-and-white sandstone stole my attention. 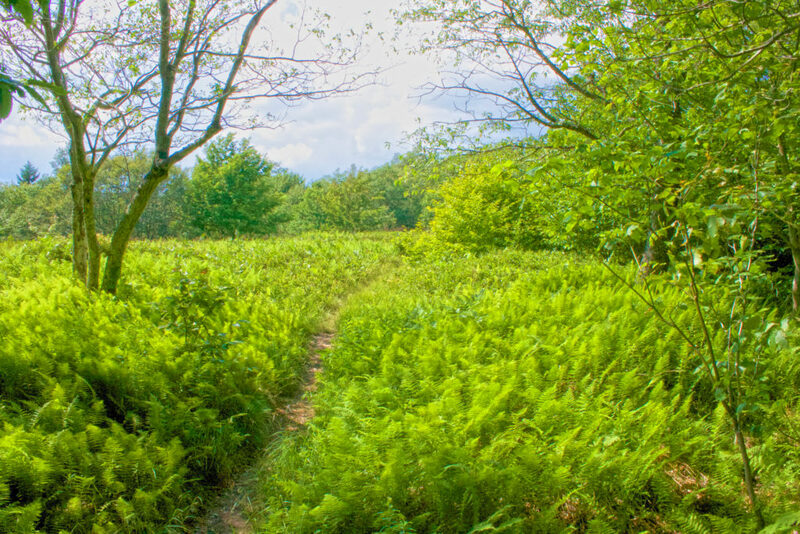 I traversed through gorgeous hardwoods—including everything from red spruce to maple—past bright-green sections of bog, and experienced forested areas so lush and hydrated (imagine: the children’s film, FernGulley) it reminded me of the Hawaiian rainforest. Not to mention, bright white rhododendrons: Elaborate and decorative, these budding trees would pop up in dense wood when I least expected to see such sunny-feeling flowers. As for animal sightings, other than a few deer that I came exceptionally close to, I didn’t experience any noteworthy wildlife crossings. Though, I enjoyed listening to songbirds—which were quite sonorous in the morning and evening! Rhododendrons—A shrub or small tree with large clusters of bell-shaped flowers and large evergreen leaves. (I saw SO many blooming on the western half of the loop that I hiked.) Azaleas are also classified as rhododendrons, and are a bit smaller in size. 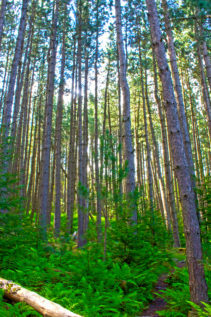 Northern hardwood forests—Yellow birch, red maple, hemlock, black cherry and beech comprise the most common tree species. The growth conditions are challenging with thin, nutrient poor soils and a harsh climate, so trees are frequently shorter than others at lower elevations. Red Spruce—Red Spruce is also among the most common tree species, which reach 60 to 80 feet high with a trunk diameter of close to two feet. The needles are four sided, dark, shiny, and grow independently from all sides of the twigs and branches. Mountain holly is commonly found in the understory, as well as ferns. Sundew plant—These insect eating plants are among the Drosera (Droseraceae) family. They attract and absorb insects via mucilaginous glands (a thick, gluey substance), acting as armor on their leaves! Blueberries—my all-time favorite fruit! Standard bushes grow from 6 to 10 feet tall, and the base of the shrubs has multiple canes growing directly out of the soil in clumps. The branches are smooth and sans thorns. The leaves are glossy and green or have a hint of blue. 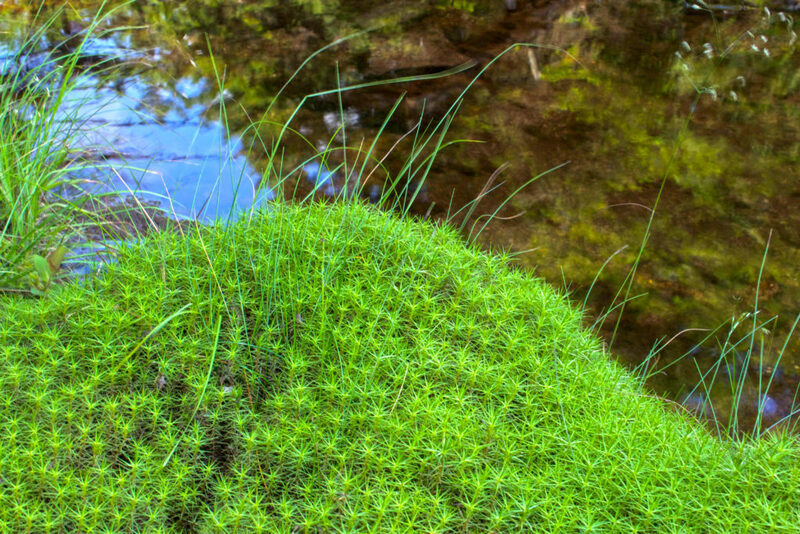 Upland bogs—Characterized by deposits of spongy peat (partially decayed vegetation or organic matter), acidic waters, and a floor covered by a thick carpet of sphagnum moss. Most of the water is received from precipitation versus runoff, which means the nutrient levels are low for plant growth. West Virginia flying squirrel—Lives in red spruce and northern hardwood forests. Nashville warbler—a small songbird found in bogs, and that has a bright yellow belly. Black bears—I didn’t see any, thankfully! But remember to hang your food cache every night. Read more from my West Virginia adventures.